Say goodbye to ceremonial robes, incense, candles, and oils. 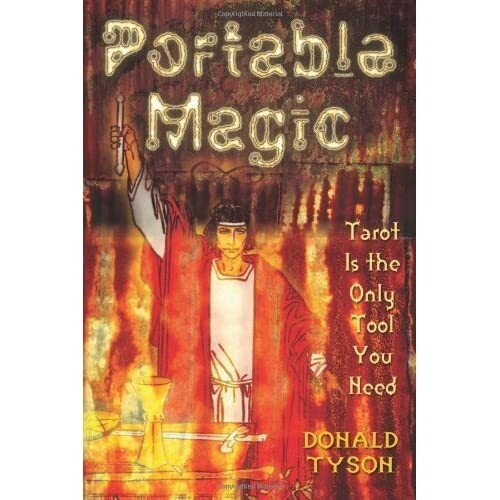 Donald Tyson presents a new, easy way to perform ritual magic with only one tool: tarot. From manipulating elemental forces of nature to making potent charms, all ceremonial rituals can be performed with a standard 78-card deck. Tyson’s efficient system of tarot magic is based on the Golden Dawn tradition, which corresponds with tarot imagery. He teaches how to work magic on the astral level by projecting one’s awareness into the ritual tarot layout. Learn how to set up an astral temple, build an altar, cast a magic circle, and create a triangle through which to actualize your purpose. This innovative guide to tarot magic also includes rituals related to unions, business, banishing, and evoking elementals.